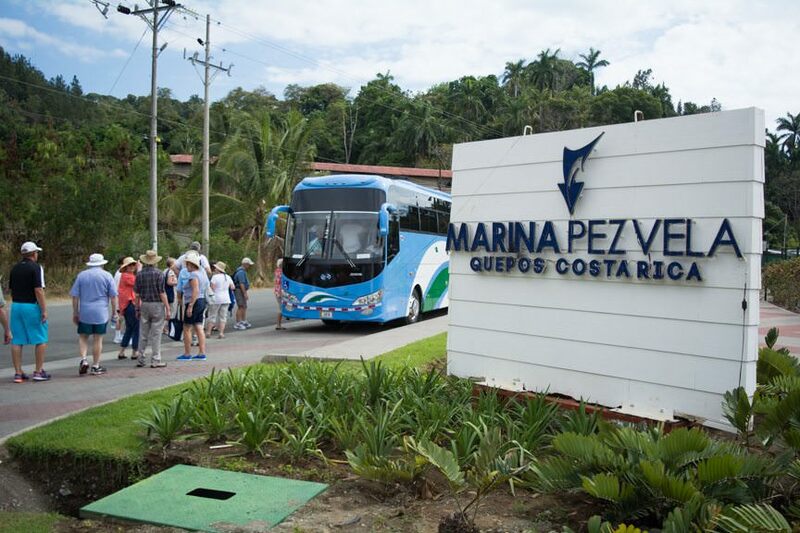 This morning, Windstar Cruises’ Star Breeze arrived at her first port of call on our weeklong Costa Rica & Panama itinerary that will conclude with a transit of the engineering marvel that is the Panama Canal. Today, though, we’ve arrived at our anchorage off Quepos, Costa Rica, a former banana exporting capital turned sleepy paradise. With 22,000 inhabitants, the town is about 60 kilometers from the capital, San Jose – if you could drive in a straight line. Thanks to Costa Rica’s notoriously labyrinthine highway system, you’d have to drive nearly 200 kilometers in order to get from San Jose to Quepos by car. Getting here on the Star Breeze is decidedly more relaxing. 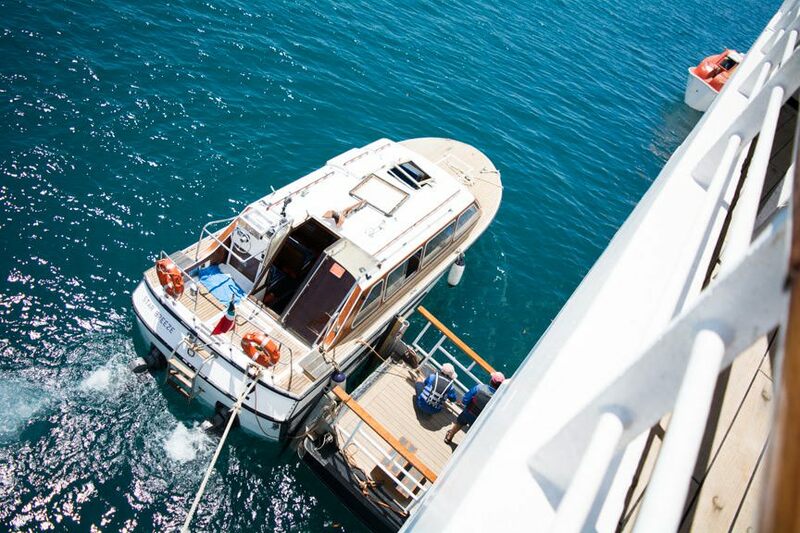 Captain Roman Krstanovic dropped anchor shortly after 7 a.m., and tender services ran throughout the day until 5:15 p.m. in preparation for our 6 p.m. departure. Star Breeze was built in 1989 as Seabourn Spirit. Embarking, I was ready to forgive a lot of little things that a ship nearing its third decade in service might have. An older ship might rattle more. There might be more mechanical noises, or vibrations, or engine bleed-through. But that’s just not the case here aboard Star Breeze: Even in last evening’s moderate swells, she didn’t make a peep. No creaking. No groaning. No loose ceiling tiles rattling softly in the night. Nothing. She’s whisper-quiet. As I mentioned yesterday, she’s also been lovingly refitted by Windstar. Sure, if you look hard enough you’ll see some signs of wear, but you have to look really hard. We’re talking ‘get-down-on-your-hands-and-knees-and-pick-at-the-decking’ hard. 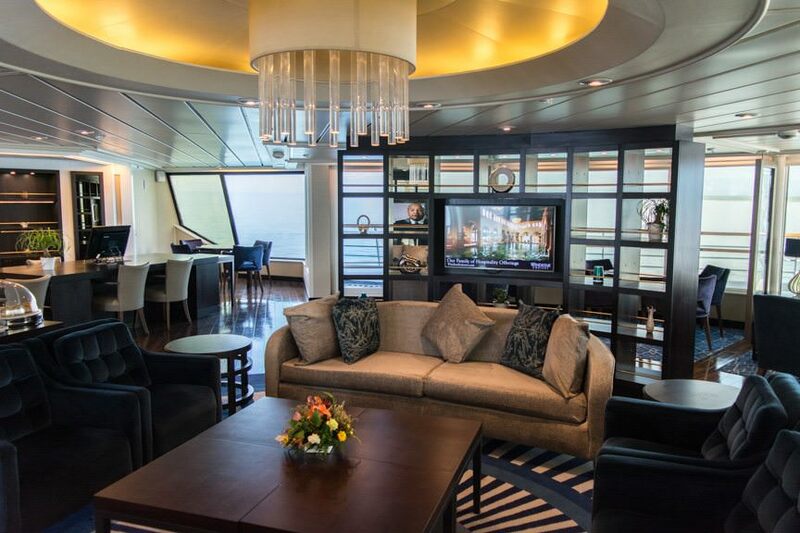 Let’s take a virtual walk around the ship as she appears today, showcasing her interiors. Bright, modern, and contemporary, Windstar has done a great job of cultivating an onboard ambiance that is welcoming and relaxing. 7:30 a.m. – Wind Spa Offering – Total Body Conditioning. Fitness Center, Deck 7. 8:00 a.m. – Wind Spa Offering – Pilates. Fitness Center, Deck 7. 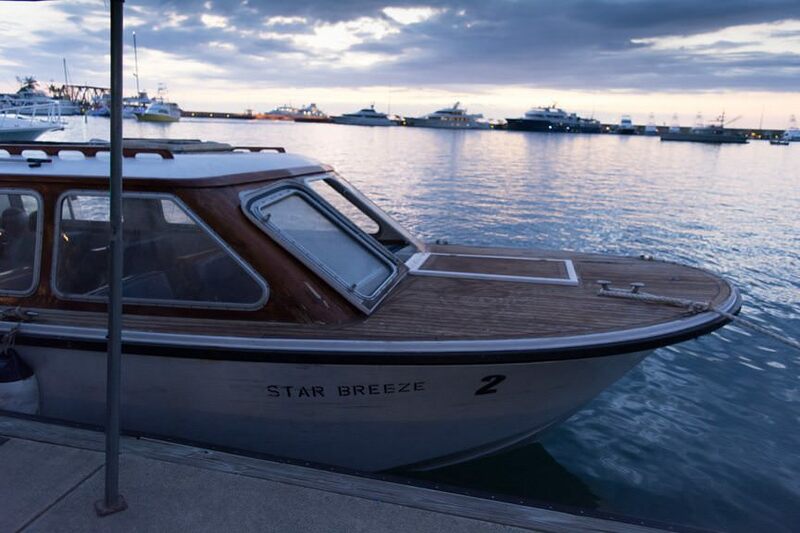 10:00 a.m. – 4:00 p.m. – Star Breeze Marina is Open! Marina located on Deck 2, aft. 4:00 p.m. – 5:00 p.m. – Costa Rican Guitar Players. Show Lounge, Deck 5 Aft. 5:00 p.m. – Wind Spa Offering – Abs. Fitness Center, Deck 7. 5:00 p.m – 7:00 p.m. – Enjoy Live Music with our duo, Sophistication. Star Bar, Deck 8. 6:00 p.m. – Star Breeze Signature Sailaway. 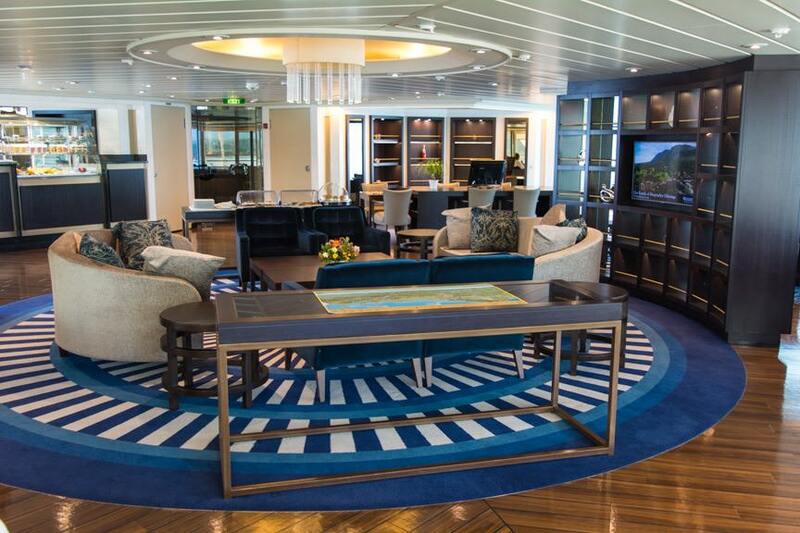 Open Decks. 6:00 p.m. – 7:30 p.m. – Enjoy Cocktail Music by Mistura Final. Show Lounge, Deck 5 Aft. 6:30 p.m. – Join voyage leader Alina in the Lounge for information on your upcoming day. Show Lounge, Deck 5. 9:00 p.m. – Close – Romance is in the air with our duo: Mistura Fina. Compass Rose, Deck 6 aft. 9:30 p.m. – Close – Love Under the Stars with our duo, Sophistication. Star Bar, Deck 8 forward. You might notice there’s no elaborate production show, despite the fact that Star Breeze has a pseudo-show lounge on Deck 5. This is in keeping with the vibe found aboard Windstar’s sailing ships; aside from live music offered each evening, you won’t find much in the way of scheduled activities – and that’s okay. This experience is one of social fun, not manufactured entertainment. 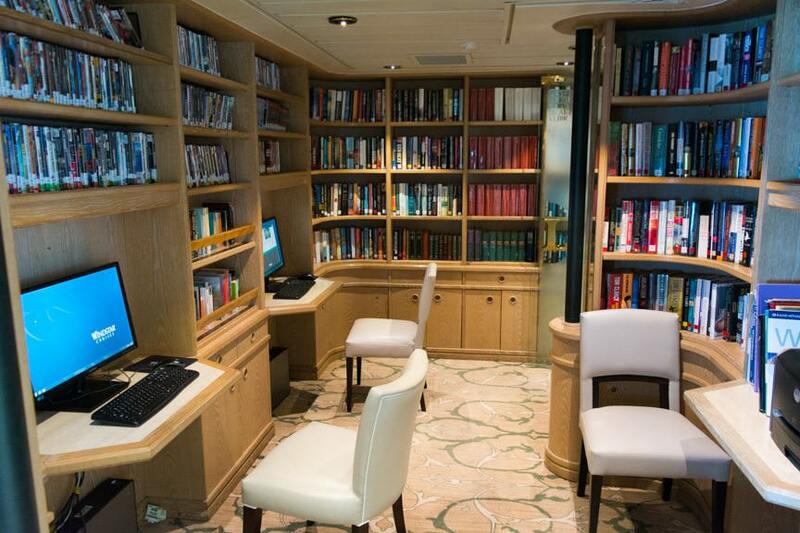 The latter basically allows you to have unlimited internet access throughout the vessel. Compared with just a few years ago, when US$250 would barely get you a handful of hours online, that’s a good deal. Of course, unless you happen to be writingabout your cruise, I’d advise you to not get any internet package. You’re on vacation, after all. 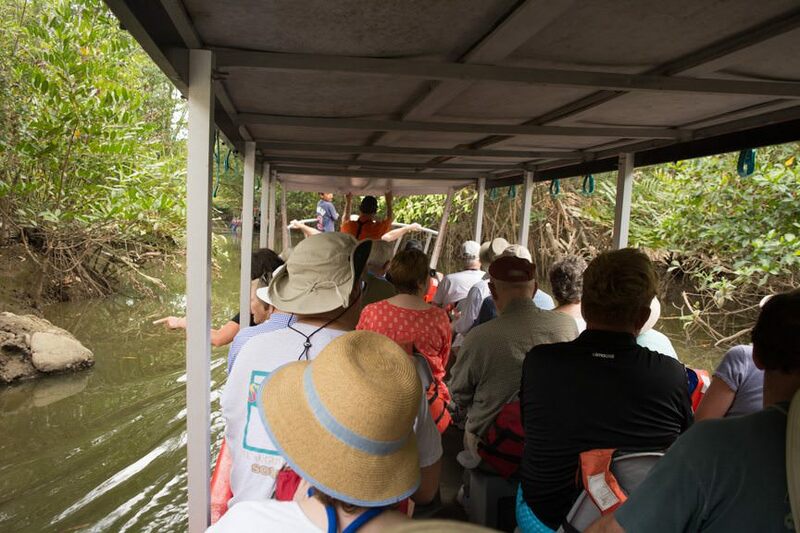 This afternoon, I took part in the 3.5-hour Mangrove Wildlife & Boat Cruise. 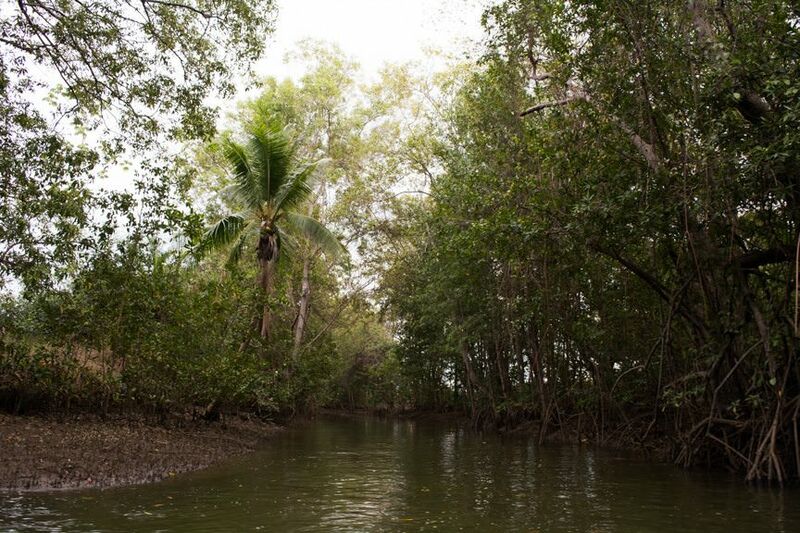 It’s one of eight excursions that Windstar offers here in Quepos, and I chose it for one reason: I love mangroves. 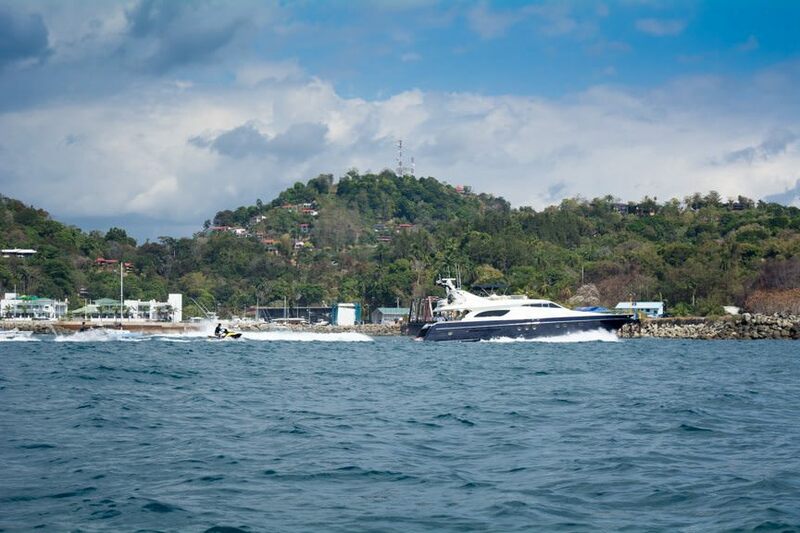 The good news: At $79 per person, this tour is an affordable way to get to know Costa Rica. We also saw nesting bats (good), and an astonishing assortment of monkeys that happily played amongst the mangroves, throwing banana pieces down to land on the tops of our boats as they passed underneath. The mangroves themselves are spectacular. If you haven’t seen one yet, this is the tour for you. However, the tour itself hit a snag when there wasn’t enough room for everyone on our coach on the covered boat slated to take us down the river. This was after we’d spent half an hour cooling our heels at a local cantina because the tide was still out too far to conduct the tour. Now, riverside, we’ve got more people than seats. In the end, we overloaded our boat and transferred two guests mid-stream to the second boat. That got me thinking: what happens if old Mr. Smith takes a tumble into the brackish waters of Costa Rica? To make matters worse, our boat had no working P.A. system. Those of us at the back, next to the noisy, smoke-belching Evinrude outboard motor, were completely unable to hear our guide. He made the trek back once, and didn’t return for the rest of the tour. It wasn’t a bad tour – just a disappointing one. 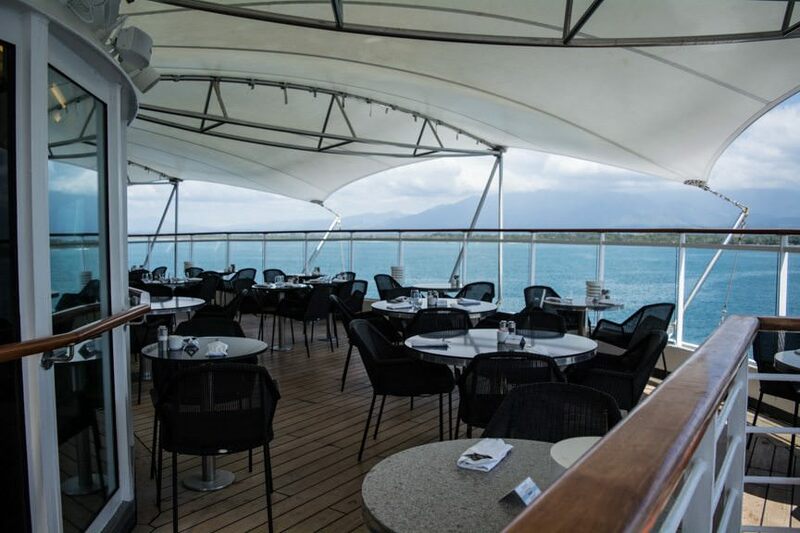 I’d dined at Candles on board Wind Spirit and Wind Star, and I loved it. 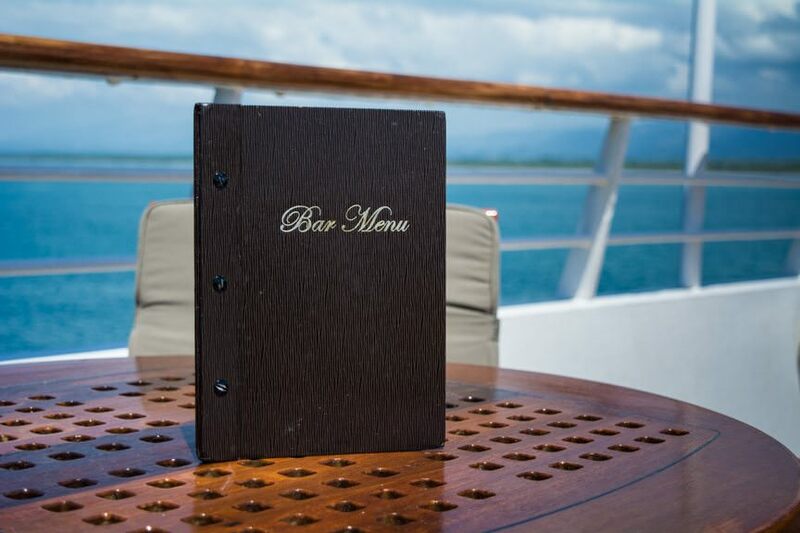 Dining outdoors while at sea is always fun, and the atmosphere and service had been good on my past voyages. On this voyage however, it wasn’t just good – it was superb. From my last trip on Windstar back in 2013, I feel that the line has really upped their culinary game a lot. 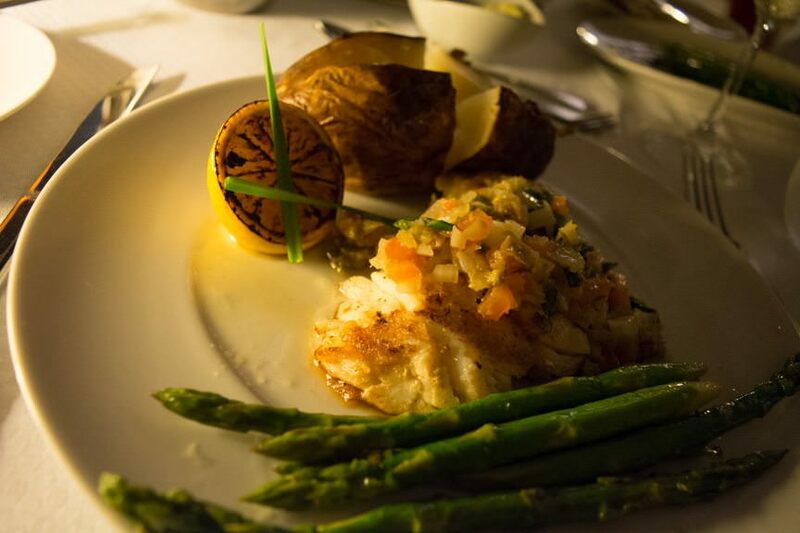 My meal – roasted Portobello mushrooms and local Panamanian Sea Bass – was one of the best dishes I’ve had at sea. 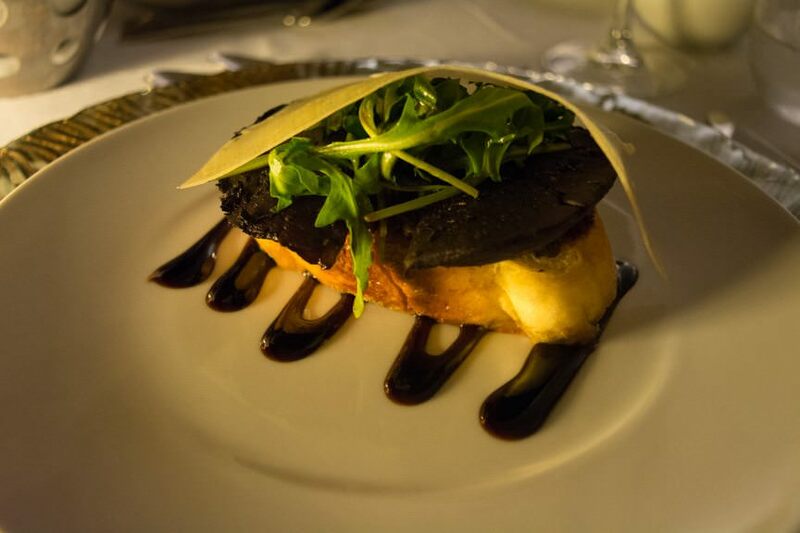 The Portobello mushroom appetizer is, without a doubt, the best Portobello mushroom dish I’ve ever had. Everything was tasty. Everything came out piping-hot. Every single waiter and server addressed guests by name, and did so with a smile. The Verdict: an amazing meal in an amazing setting, made better by the genuine and hardworking crew aboard the Star Breeze. 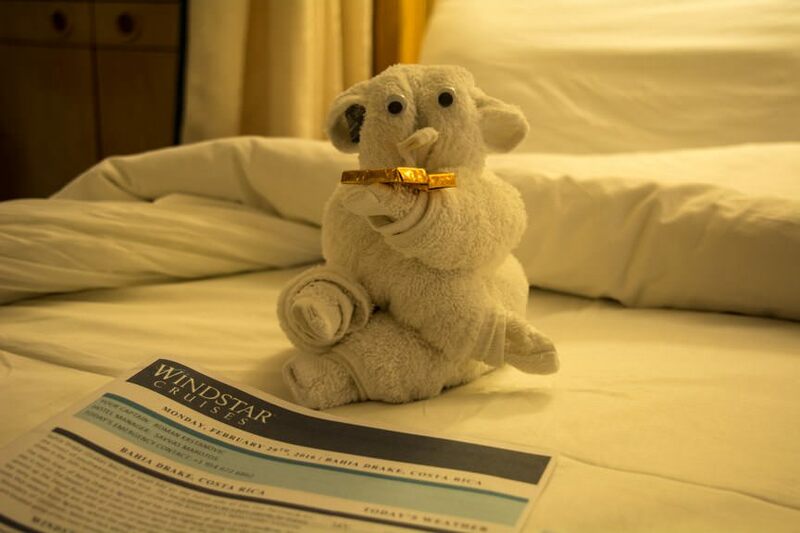 Windstar does guests a great service by informing them about Candles when they embark Star Breeze, and offering the ability to make a reservation right then and there. I did just that – and you should too. 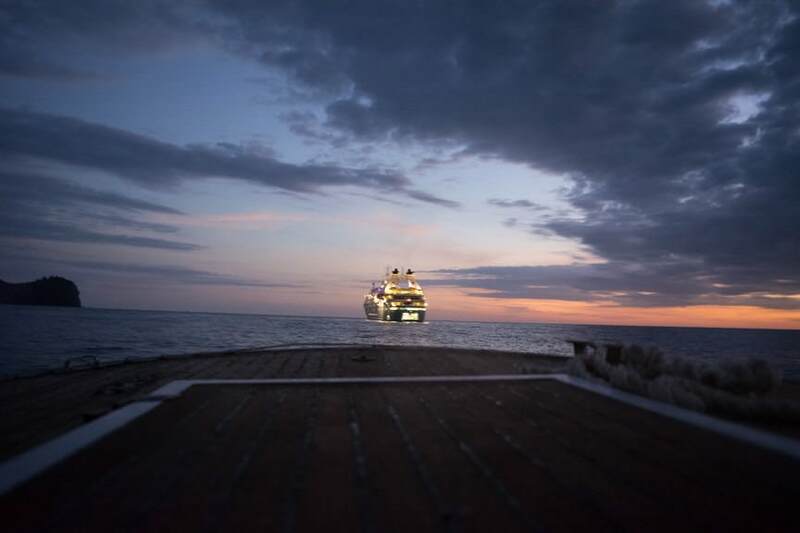 Tonight, we’re making our way to our next port of call: Bahia Drake, Costa Rica – a town of less than 1,000 inhabitants. Duty-free shopping mavens, take note: This isn’t the Eastern Caribbean. The main draw here is the local culture and wildlife of this unique part of the world – and that’s just fine by me. 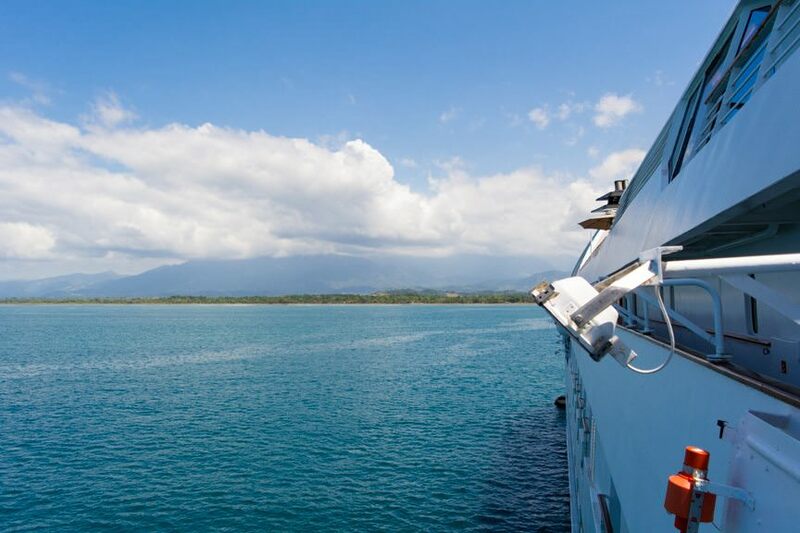 Our Live Voyage Report from onboard Windstar Cruises’ Star Breeze continues tomorrow from Bahia Drake, Costa Rica! Be sure to follow along with our adventures on Twitter @deckchairblog. 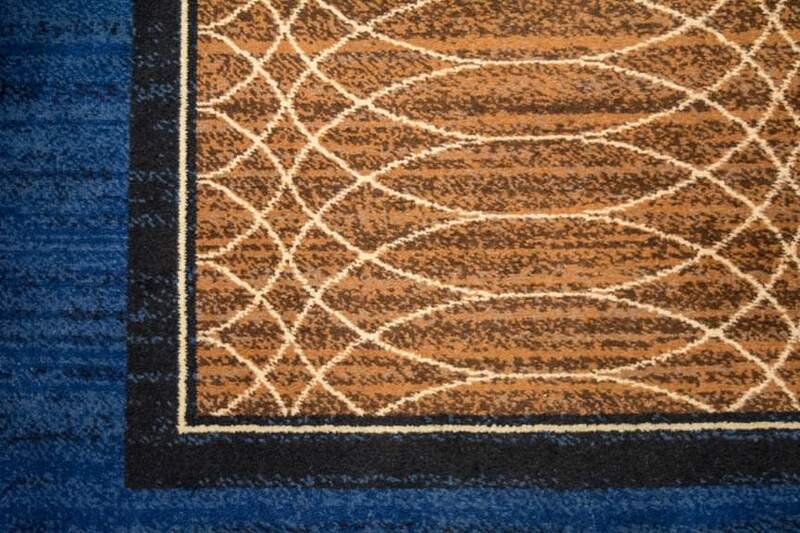 Even Azamara Cruises includes basic alcoholic beverages in the price of their cruises, so don’t you consider the over $100 per stateroom extra cost for this somewhat steep? I don’t consume all that much alcohol, but like avoid surprises with my onboard expenses, so am inclined to buy such a package when on a premium cruise line, like Celebrity or HAL. However Windstar positions themselves between premium and luxury, similar to Azamara, so this sounds somewhat exploitive and undermines their brand positioning.